I have featured some of the most talented people on this blog. Two of our gracious ladies have sent beautiful items to giveaway as gifts to the followers. Do you remember talking with Cindy Cloward of Riley Blake Designs? Well she has a sure-to-be-beautiful new line of quilting fabrics, Penny Rose, premiering in September, and I can hardly wait. But today, a fabulous bundle of fat quarters arrived from her line Le Crème Basics. Cindy says that this greatly resembles the Penny Rose fabrics that will premiere, and she thought that one of our followers should win this bundle of eleven quarter yard cuts. Tina from The Enchanted Home dazzled us with her love of blue and white. 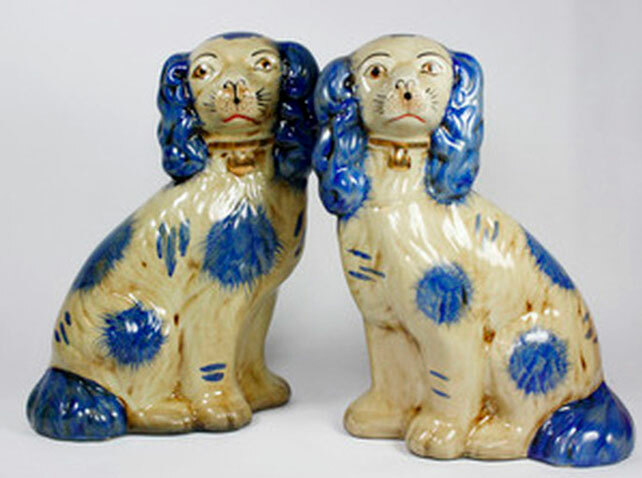 She has graciously offered a lucky winner a pair of blue-and-white Staffordshire dogs from her online store. Tina has sourced some amazing items that can be found in her Enchanted Home Shop. You can also register for a chance to win Alexandra Stoddard’s book Things I Want My Daughters to Know. Her writing and thoughts are admired by women everywhere, and she continues to inspire us to live each day to the fullest. She has such a following, and you could be the lucky one to receive this book. She was the first author that I featured, and she inspired the name of this blog, The Ribbon In My Journal. I love our newest book Southern Desserts, and we are giving a copy to two lucky winners. You won’t believe the recipe collection in this hardback cookbook. I love the fun of giveaways. Enter below for a chance to win one of these wonderful gifts! Lovely inspirations to add special daily memories. Actually, this is my first visit but it won’t be my last. Very classy. Thanks. I just found you!!! Already signed up to follow! 🙂 Going to fill in this Info for Give-a-Way…then slowly ramble thru your Blog…looks sooo fun too! I was catching up on my blog reading (love Feedly! let’s me organize and read easily) and a blog I read mentioned yours so I came to visit! I was looking around for sewing and quilting blogs so I could get inspiration. I found out about you vía a post Riley Blake made on Facebook! It’s my first time here, but you can bet I’ll be back!!!!!!!!!!! Very inspiring blog. Just read the blue and white decor blog. 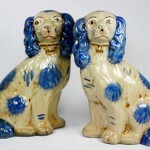 Have always loved blue and white porcelain and have many pieces in my home. I love the fresh and live content. Thanks! Friendly and informative place to rest and read! Love it!! This is a new blog for me, but I am always looking for new inspiration, since I lack that gene. For your decor ideas. Thanks for the giveaway. Saw this on Face Book, nice blog, I will be back! I was doing some blog surfing and thought I’d check your blog out. I’m new to your blog, but I like what I see, so I’ll be returning often. Lovely blog, can’t wait to explore! I’m new to your blog, but a quick once over, and it’s beautiful! I love the inspiration tab. I saw the link on facebook. I love the variety of topics and enjoyed seeing the Rosalinde china my grandmother gave me featured in an article. Like learning about new ideas from others, including you. I had not been to your site before – it’s a wonderful blog! Happy Riley Blake sent me over!!! Lots of new ideas!!! Riley Blake sent me! I love the how to’s! I’m really, really new here and very new to quilting too. So far, I’m enjoying the down-to-earth style of writing that doesn’t make me feel like I should be an expert just to read this blog!! Just discovered your blog and I’m looking forward to exploring it. Great give away. Love the variety of possibilities! Just started. Can’t wait to read. I visit to see what tips there are to do things better and get the most out of the occasion – whatever it happens to be at the time – Father’s Day etc. New reader here. Love the diversity of your subjects discussed. Reading and sewing just seem to go together! Found you on the Riley Blake Facebook Page. I love Riley Blake fabrics. Beautiful flowers on your blog. Saw your information on Riley Blake site. I saw you on Facebook through Reily Blake Design. I’m looking forward to the Penny Rose fabric becoming available. I love the dots…. 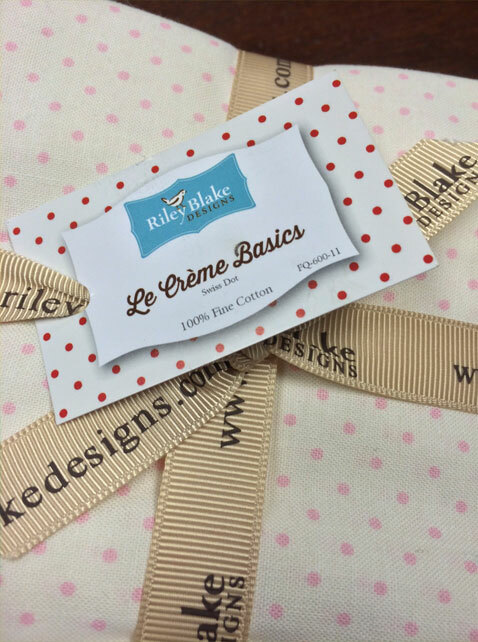 To be honest I just found your page through the Riley Blake Facebook page – I love those dots! Now I am intrigued to keep reading your blog though, so thanks to Riley Blake – I love it when I find new blogs to read. I followed the Riley Blake Designs FB posting to “The Ribbon In My Journal”. I love polka dots and find the La Creme Basics to be beautiful. I’d LOVE to win that FQ bundle. Referred by Riley Blake Designs. Look forward to reading your blog. I’ve just discovered your blog. I love inspirational photos that inspire me to create new things for our home. I just found you and look forward to reading more! Just learned about you from Riley Blake. Enjoying looking around. thanks for the giveaway! This is a new blog, to me. I’ll give it a good read, now. Just heard about this blog from a Riley Blake Post. I have enjoyed what I’ve seen. So great that you are offering such a wonderful giveaway. Riley Blake sent me over and I’m enjoying looking around! I love this fabric!! What a great quilt it will make. Thanks for the give away. I love reading about others love of fabric and getting ideas. Really like quilting blogs that help quilters.New to this blog.Book marked it. I love the inspiration!! Thanks for a lovely giveaway! First time visit to your blog…..it has such a calming feel to it! Thank you for the chance to win! I just found your blog. I like fresh ideas. Enjoying your blog. I’m new and look forward to visiting with you frequently. Beautiful fabric such a great giveaway. Such Beautiful fabrics and such!! Sew Glad I found your site!!! Lovin’t it!! ..Ƹ̴Ӂ̴Ʒ..
New to the blog but I am loving it already. Very fresh looking and classical. I also find it soothing to look at. And so far I have read some great inspirational quotes. This is the first time reading this blog. I also signed up to receive you newsletters and I look forward to reading them. I always like to get new ideas to spruce things up! Hello, just reading your Blog>love it! Found you via FB. I am always looking for inspiration. Just started reading your blog, tdruly have enjoyed what I have seen. 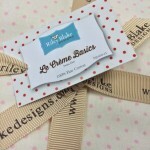 Would love to win the Riley Blake giveaway, have just the project to use it on. I am not a follower, I found you through riley blake designs on facebook telling about the fabric giveaway and I collect dotted fabrics. Found your blog through Riley Blake, lots of inspiration, thanks for a great giveaway. I saw a post on Facebook. And now that I’ve visited, I like the inspiration here. Thank you for the giveaway. Heard about your blog through Riley Blake – thank you for the giveaway! Love your giveaway prizes! Thanks for the opportunity to win!! I love your blog. Its refreshing and informative. Your site is beautiful and very inspirational. Thank you for sharing your talents . . . . It is such a nice site, really enjoy it. Thanks. I visited because i saw this on Facebook! Thanks to Riley Blake I get a chance to look around! I visited because I saw a facebook post and now I am a fan! Now that I’ve found your site, I look forward to looking around! This is my first time at your blog. I was introduced to you via Riley Blake Fabrics. I will be bacK. I have wanted to start an journal and will now just jump in! Thanks for the inspiration. I read your posts for inspiration! Just found your blog via Riley Blake but am sticking around to see what wonderful things you post. Came by Riley Blake Design, Love your “Decor” ideas. Riley Blake had a link to the giveaway – now I can’t wait to look around! Such fun and great ideas! I read your blog for inspiration! I found your blog today because someone shared this post for a giveaway. I hope to find lots of inspiration and new ideas as I scroll through and become a follower. i clicked on a link from Riley Blake. thanks for the giveaway! I found you through Riley Blake Designs. Love your blog. I got linked from Facebook. Thanks for the giveaway! Love your blog. Thanks for offering fat quarters. I found it through Riley Blake and you have some interesting stuff on here. I found you because Riley Blake facebook page shared you! I now follow you on fb as well. Thanks for the giveaway. I’m a new reader- but am loving what I’ve read so far! I am a new visitor to your blog thanks to Riley Blake. I am so glad to have discovered your beautiful blog. I know I can easily spend hours going through your posts. I cannot wait to discover all that The Ribbon in my Journal has to offer. I too love Alexandra and had the privilege of meeting both she and her husband….I am new to your blog …I just learned of Tina’s and am a big fan!!! Looking forward to visiting yours as well…being a southern Californian it is fun to learn what is happening in other parts of this country!!! I look forward to getting acquainted!!!! Phyllis, I connected with you thru Tina at The Enchanted Home. I’m also a southern girl and love that spirit of the south that flows through your blog. I have always enjoyed reading your blog. It is an inspiration for my life. As a Southern girl who has lived in the Northeast for the past 30 years, I love any chance to read more about entertaining, decorating, lifestyle…with a Southern touch. I love your blog and look forward to reading all of your posts! magazine was resurrected! Thank you for sharing the joy every month. Love your blog, thanks to The Enchanted Home for helping me find you! I find your story very inspirational and you have amazing talent!! Find everything you do very inresting , very southern and tastful.you have helped people see the south in a wonderful light! This is my first visit to your blog. I’ll be back for sure. I’m so glad I found your blog. It’s so refreshing! Hi there you obviously do not need to enter me for the dogs but yes to the quilt or the book!!! Thanks for featuring me….hope you have a great day! I love your new blog, I guess because it is an extension of your published materials. I am a subscriber to the Cottage journal, and was happy to learn about your blog through The Enchanted Home. Why do I like it? Just love your style of writing and the topics. Keep it up! And thanks for the chance to win those beautiful dogs too! Your lovely blog is such a nice companion piece to your wonderful publications, Phyllis! I enjoy reading your posts and gaining insight into your life and work. Thank you for sharing such a warm and welcoming addition! First time reader…found you thru Tina at The Enchanted Home…thanks for a great giveaway. Love this blog and have been commenting since the first day. It’s a sweet getaway every day and enjoy reading everyone’s comments. Thanks for the opportunity on the giveaways! I love your magazines but only discovered the blog today through Tina of The Enchanted Home. I’m looking forward to some wonderful reading here. Thank you for the giveaway opportunities. Great to discover your blog… I have enjoyed reading it! My 17 year old daughter and I both enjoy Victoria, Tea Time, and Southern Lady. Thank you for giving us both a way to escape the world and be inspired by the little things in life that make us truly happy! I just found your blog. It’s lovely. I’m loving this little escape while my little boys take their afternoon nap. I am so inspired by you Phyllis! I was so blessed to meet you when you did a book signing at Davis Kidd (now closed) here in Nashville. I would love to win the treasures in this giveaway. I was reading Phil 4:8 (“Finally, brothers, whatever is true, whatever is honorable, whatever is just, whatever is pure, whatever is lovely, whatever is commendable, if there is any excellence, if there is anything worthy of praise, think about these things.”) in my devotion today and it makes me think about your beautiful magazines I subscribe to and this blog too! A nice place for a little inspiration. I visit The Ribbon, for a lovely break from the harsh and fast pace of today’s world. Your blog, along with your magazines, bring me to a peaceful, beautiful and gracious rest. Thank you for the giveaway, but most of all thank you for the inspiration. I have only recently started reading your blog … And I have one question … Where have you been all my life? I love it! Have the latest Victorian magazine with the feature being France. Love it very much and with your giveaway of one of your magazines I would hope to be one of the two winners. Thank you for this giveaway. I’ve enjoyed your magazines for years. They are a beautiful escape! I love the warm memories that you write about here often stirring pleasant memories of times past. What a delight to read TEATIME and CELEBRATE magazine! Now receiving your blog regularly I so enjoy reading the interesting topics and people you share. THANK YOU!! You are so generous!! I’m a decades fan of Victoria and it’s still my favorite!! thank you! Enjoy reading your blog & thank you for the chance to win something! I love this blog and its very inspirational and I am addicted. I love Victoria magazine. My mom has every one since the premier issue. I was excited last month when there was a story of Lyon, France. I have visited Lyon several times,even the Eglise Saint-Geoges church. It’s even more beautiful in person. I love at the end of my day to read your blog..peaceful end to my hard day. Love your blog. Thank you for the giveaway! Great giveaways! Good luck to all! I found Alexandra Stoddard giving decorating advice in woman’s magazine 15+ years ago. Since then I have collected most of her books and never get tired of re-reading them. I look forward to Ribbon in My Journal and all it has to offer young & old alike. Thank you for sharing your heart. Found your blog through The Enchanted Home. Thanks for the giveaway. I love your blog and your magazines. I, for one, was thrilled that there was a new Victoria to enjoy each month. It is beautiful. I am enjoying the pure inspiration that your blog (and media resources) sets forth! I am waking up to the beauty that can be enjoyed even in the smallest corner of a one. Alabama is my childhood home state. After marring and living overseas much of my husbands career we settled & retired in Texas. I do not consider Texas “southern.” So your when Southern Lady arrives I feel like I am back home with friends and family. I am so homesick when I finish each issue:( You present the south as it should be BEAUTIFUL. Each page is absolutely wonderful…even the advertising! As with Southern Lady, Ribbon, also brings me much pleasure. I’m such a fan of “Southern Lady” magazine and just recently started following the blog (a few days ago). I read your blog because I am a fan of Victoria magazine!! I look forward to reading your posts daily. I love your blog and Victoria Magazine because I love anything pertaining to the beauty and graceful living of the Victorian age since I am a Southern Lady and would love to win the Giveaway !! Another blogger mentioned you were having a “fantastic giveaway” so I decided to check it out. As I was exploring your site, I discovered you published Just Cross-stitch magazine. I still have a few of my old issues. I was also interested to find out that you publish Victoria magazine. I subscribed to that years ago and was so disappointed when publication was stopped. I wasn’t aware that it was being published again. Brings back memories of a more simple, elegant time just for me. Thanks so much! I look forward to getting your blog in my email. I love reading it. Makes me remember some things I haven’t thought of in quite a while. Would love to win any of your lovely prizes too. I enjoy your blog! Happy to receive it. Thank you for inspiring us all to make our homes warm and welcoming. Love Southern Lady. Have been subscribing since I picked up a copy in Hilton Head Island last year! 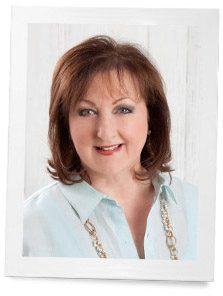 I have been a reader of Southern Lady magazine since the beginning so I knew I would enjoy a blog by Phyllis Hoffman. I have not been disappointed. Love your blog and all of your stories about when you were young. I so remember the perms and wearing the white gloves to church,etc. Thank-you for sharing! I read ribbon in my journal because the themes discussed focus on the better part of our nature. It is always a celebration of the good things in life! I love your blog. Look forward to seeing your emails and reading your stories. Thank you. Love your blog-everything about it! You do everything with such grace and loveliness. Finding a new post from Ribbon in my Journal is ways a bright spot in my day. Thanks so much for a you do!! You are a blessing to us all! Enjoy your blog. What fun a Summer Fun Giveaway. Thank you, I love reading your blog, thank you for a chance to win something pretty. What a lovely, generous giveaway – I’d be delighted to win! We’re similar in age and I so enjoy reading your stories and the sharing of your life. Your sense of femininity, freshness and joy are such a pleasure to read. I enjoy reading your blog each time it comes out. You have such an interesting story each time. Have been reading Alexander Stoddard’s books for years. She is so inspiring. Makes you want to be a better person. Thanks for the opportunity to win one of you wonderful giveaways. Love reading these posts. I small spot of peace in my busy days! I just recently discovered your blog and love reading about all the interesting people and their talents and products. I have bought “Southern Lady” at the market for years, so I was ecstatic to find your blog. I love reading your blog. Such variety of topics to inspire! I love Victoria magazine too. I visit “The Ribbon in my Journal” because I love everything Miss Phyllis does it seems and have for several years now. After a stressful day I know I can pick up one of her publications or visit this site and find some calm in the midst of my storm. What a heavenly gift. I love all the elegance, class and total beauty your blog brings to me. Life CAN be gracious. This is a reminder that we do need to stop and smell the roses; learn to appreciate what is beautiful in our lives and create our own environments. Be a great example to those around you to slow down and experience life as it was meant to be. I love to read your blog as it reminds me of the more important things in life instead of getting so caught up in artificiality that seems rampant these days. I read Ribbon in My Journal for a wonderful dose of beauty, domestic inspiration, and gentility. Long live Victoria Magazine! I always love to be inspired by magazines, books and blogs! Thank you for hosting this wonderful giveaway! The writing is well done for topics that remind us there is joy and satisfaction to be had in celebrating the daily moments of life. After all, we are so lucky to be able to choose how we live. I love the blog. It inspires me to live purposefully and beautifully. I have enjoyed the many Hoffman publications through the years and your Blog is another source of joy and inspiration. Thank you for the opportunity to win a prize. I just love my Victoria Magazine! so anything to do with Gayle, I’m right there! Enjoy reading your blog. I have been a subscriber to Victoria and Southern Lady magazines for years, so I was excited that you also started a blog. Love this new and refreshing blog! Love your blog and then the chance for a prize is an extra bonus. Being from Alabama, you are my touch of home since I have lived in Arkansas (way up north) for nearly 55 years! I love Southern Lady & your blog…recipes…everything Southern..nice! Rosemary Szydlek, I would like to thank you for filling my days with beauty, fantastic gifts, incredible people and and for widening my views. I have loved Victoria mag. for as long as I can remember. Friend welcome to my life. Your blog is always inspirational, thoughtful and gentle. Please keep up the good work! I look forward to seeing this blog site in my email box! Thanks for a great read. I I love your blog! I am a new follower and enjoy your blog. Thank you for writing your blog, I enjoy reading each new entry. And thanks for the fun giveaways! I love recipes! Love to read you blog. My mother made quilts and the beautiful fabrics bring back wonderful memories. I enjoy reading your posts! Takes me away from a stressful day. Please enter me in your giveaway. Delighted to be reading your blog. Thanks for a chance at any of these fabulous giveaways! Love this blog, thanks for the wonderful offers! Always a beautiful way to start my day! I am not sure how I found you. Must have been through Tina and The Enchanted Home. I have enjoyed your blog very much. Reading your blog entries is like sitting on the porch swing sipping an ice cold glass of lemonade on a sweltering Carolina day . It’s like the sea breeze that kicks in on a hot afternoon. It is refreshing to my soul. Pure joy. This exciting giveaway is icing on the cake of a fulfilling blog. Thank you, Phyllis, for the opportunity to enter. I am really enjoying your fresh new blog. Thanks for the opportunity to win a giveaway- would LOVE the fabric! I really enjoy your blog. It is so refreshing! Good getting to know you…. So many great gifts! Victoria has been my favorite magazine from when it first began. Your blog reminds me of wonderful southern traditions and the graciousness of the South…qualities I’ve always admired. Your blog is like a breath of fresh air in this over technological world. Thank you. In the midst of the hustle and bustle of the day it is so nice to grab a cup of coffee or eat my lunch and peruse the loveliness of a more serene and simple life full of beauty. It is the one thing I desire most out of my magazine and website choices. Always lovely and inspirational ideas to try and admire. It feels like I’ve finally got a friend who loves needlework as much as I do when I read this blog. I have followed The Ribbon In My Journal from the beginning, really love everything you post. Your posts are so relevant, they really light up my day. Thank You. Reading this blog is like a wonderful day in the South and meeting some of the wonderful people who are interesting and talented. I truly love this blog and look forward to it. Love your blog. I’d be delighted to win any of these giveaways. I love the magazine and the blog is just an obvious extension of that. Thanks for highlighting the beauty and graciousness of the South. I think of Phyllis’ blog as “enrichment” beyond the magazine. And appreciate the personal take and warm approach. Thanks for taking the time to share your thoughts and info with Victoria readers (and beyond)! Phyllis, wonderful give a ways! Love Ms Stoddard, I have her book “Creating A Beautiful Home” I found it practical and inspirational. Thank you for offering such a lovely giveaway. Reading this blog is like taking a walk down memory lane . . . memories of growing up in sweet home Alabama: summers spent in Gulf Shores, making fig preserves from the figs on our fig trees in the backyard, the scent of honeysuckle in the evenings and catching fire flies in a jar . . . thank you for making new memories for me! Love the blog, such fun to read all the interesting topics! I love this blog. I enjoy getting to read about true southern people and traditions. Reading your blog is like talking with an old friend! From the first day I found this blog I knew I had found a place of kindred spirits in both Phyllis and her readers. I have loved “Victoria” from its inception, I am always inspired by Alexandra Stoddard and each blog post is a nice little escape to a place that feels written just for me. It’s good for the soul! I have always admired the calm and balance way you live. I take 6 of your magazines by mail and I look forward to each one of them coming in the mail. This is a wonderful give away. Hi! I have followed Ms Stoddard since I read about her in Victoria Magazine. All of these giveaways are delightful. Love your blog – it is so refreshing, lovely and pleasant.. thank you! I have enjoyed Phyllis Hoffman DePiano needlework publications for years and it is wonderful to see how her vision has grown to give us more wonderful resources, encouragement, and inspiration. This is such a treat from some great ladies! Thank you. Wonderful giveaways -thanks for the opportunity! I love this blog it is different and has some great and interesting stuff on here. Just started reading your blog… really enjoying your posts!